Separation Lake offers World Class Fishing all season long, We own the only drive-to access into this 70 mile stretch of the lower English River System. With only two lodges on this vast 70 lineal miles of waterway, our system gets very minimal fishing pressure. It is a well-known fact that a river system offers far superior fishing than a dormant lake, and out portion is among the best and most scenic. Now you can drive to what was once a World Class remote fly-in location only, and still get World Class Fishing today. We offer three types of packages, The All Inclusive American Plan, Light Housekeeping cottages, plus the only campground located on the system which is located 7 miles west of the main camp at our private access. American Plan Lodge: Our American Plan packages include daily home-cooked meals, accommodations in our fully modern cottages, daily maid service, bait and boats. Cabin Rentals (Housekeeping): Our housekeeping cabins are great for those that don't like a preset schedule and want to do their own cooking. Private Campground: Our campground and RV park can accommodate a camper, RV or motorhome. View the beautiful English River right from your campsite. Walleye: Separation Lake in the Kenora area on the English River system has excellent fishing waters. The lake has produced many walleye 10lb and over. 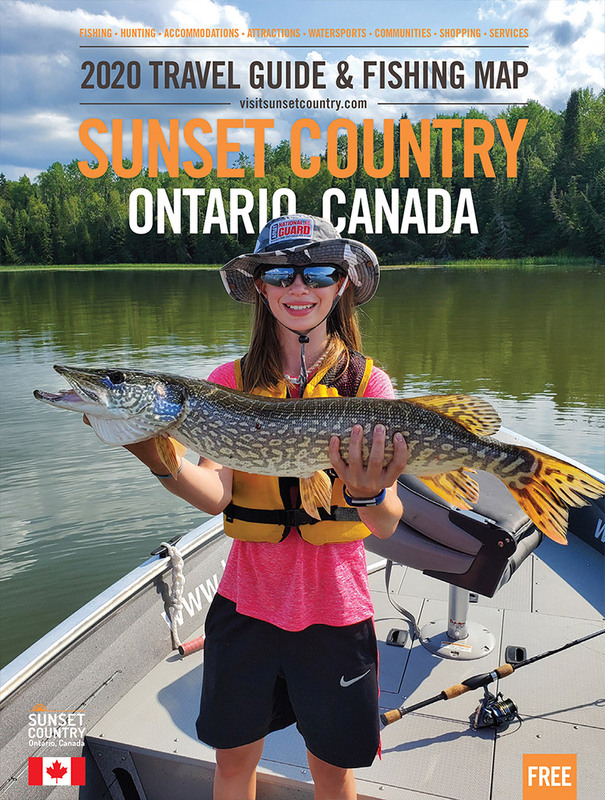 Northern Pike: A northern pike fishing vacation is a must at Separation Lake Lodge in the Kenora area. Smallmouth Bass: Fly or drive to our lodge on the lower portion of the English River system which has great smallmouth bass fishing. Black Bear: Our Canadian hunts, whether archery or rifle, are from tree stands over pre-baited working baits. Duck: The hunting is excellent for mallard, blue bill, golden eye, wood duck, teal and Canada geese. We offer some of the best waters in Canada for a combo trip. Geese: Plan a fall fishing trip and include some bird hunting as we also have a good ruffled grouse population.